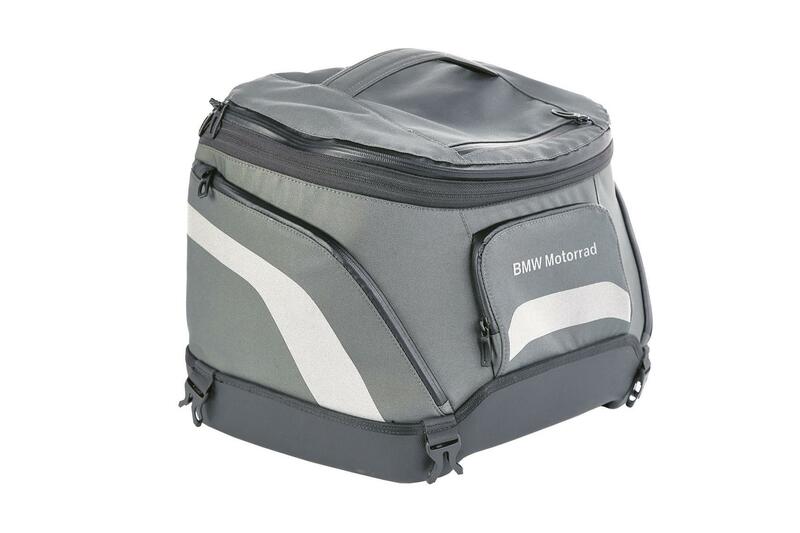 I tested this BMW softbag in small (RRP £125) for four months, covering 1200 miles. You don’t tend to think about how much an empty box weighs, but while working out luggage options for a trip away on my R1200GS, I was stunned by the sheer bulk of the Vario topbox, which tips the scales at 6.9kg empty. There is another option though - this neat Softbag tailpack, which offers an exceptionally useful 30 to 35 litres of capacity – the same maximum capacity as the topbox – but weighs 5.4kg less. It clips on and off in five seconds flat using four compression straps, is weatherproof, looks better (to my eyes), and costs a lot less than the Vario box. The inside is waterproof with a drawstring liner on the main compartment, while the outer pockets are showerproof. It’s easy to nick off the bike when you are parked up.